The Office of Teaching and Learning’s Instructional Designer Jay Hsaio has been working with Drs. Ryan Jennings and Chris Premanandan from the college’s Department of Biological Sciences on an ALX grant they received this academic year. Mitigating out-of-pocket costs to students by replacing the current textbook. Replacing human-specific content, and instead covering the spectrum of anatomic inter-species differences that are fundamental to a veterinarian’s medical training. Providing comprehensive and extensive digital materials and quizzes that are readily accessible to students outside the classroom. Watch the video below to find out more about ALX and the project. The Office of Teaching and Learning will also provide updates as the project progresses. Have a great idea? 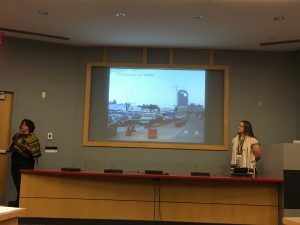 The ALX RFP is now open, and will remain open over through the summer. Follow this link to find out more about the FTP, and feel free to contact Teaching and Learning for consultation. We would love to support another wonderful project! 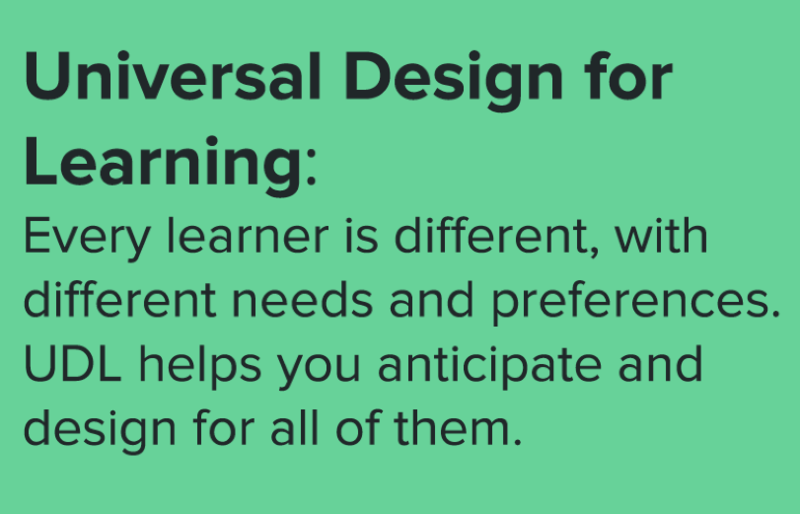 This is yet another new series that we are excited to introduce to you – Universal Design for Learning (UDL). The first 4 posts in this series will introduce you to UDL, its 3 tenets, and offer specific examples that you can apply in your own classroom today. Before we start, think about this question: What have you noticed about learner diversity in your classrooms? What have you had to do to accommodate your students’ different needs and preferences? You can approach this in terms of learning preferences, gender make up, cultural background, English speaking abilities, disabilities, and so on. During “Designing Course Experiences that Work for Everyone,” Jay Hsiao introduced small steps to make course materials more accessible for students regardless of abilities. View the presentation here.